"We found him right after the storm. 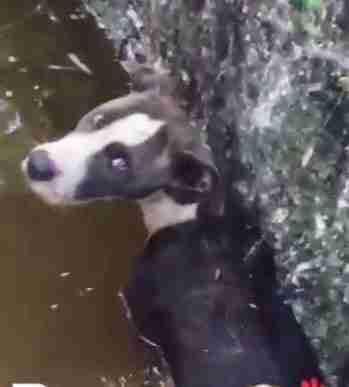 It was amazing he survived the flooding." 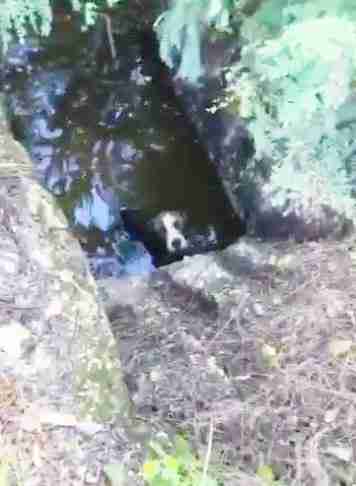 It's hard to tell how long this dog was stuck up to his neck in raw sewage. But there's a good chance he weathered a hurricane from here. 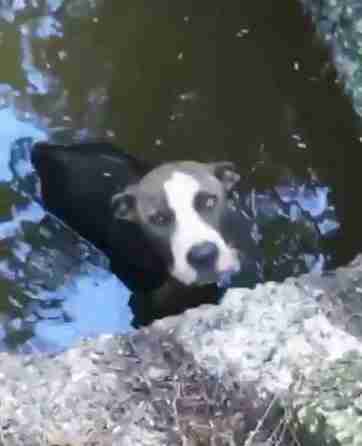 When a neighbor heard him crying from an open sewer drain in the Bahamas last week, it wasn't a moment too soon. 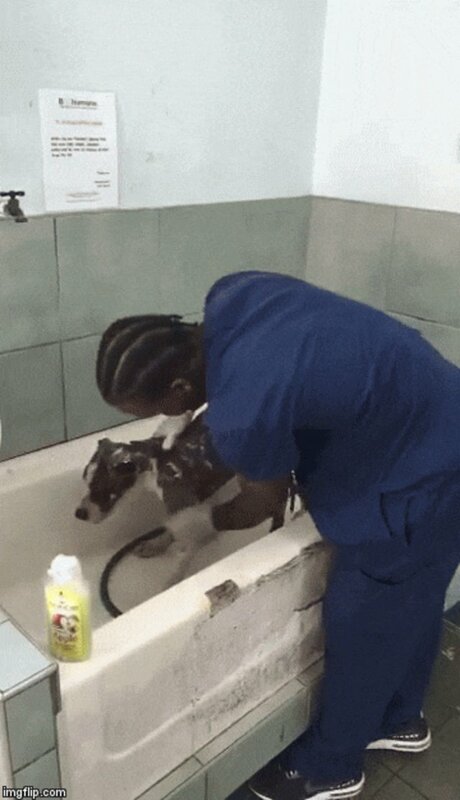 Ventoi Bethune, an ambulance driver for the Bahamas Humane Society, managed to haul out the terrified dog, whose legs were too swollen to stand on. And moments later, he emerged emaciated and covered in scrapes and cuts. 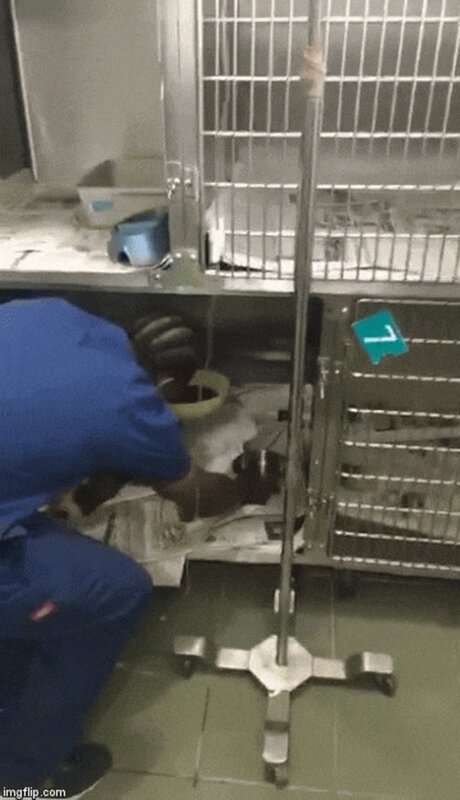 He was taken to the shelter, where he got the care he desperately needed. That's where, despite his condition, the dog offered the sincerest sign of gratitude. 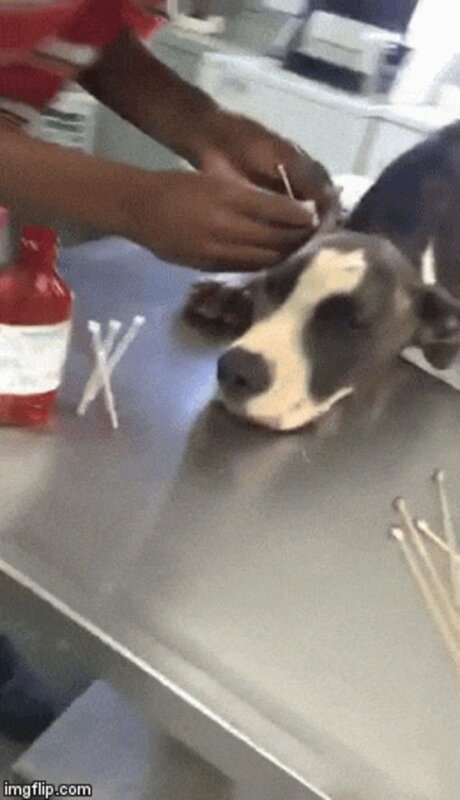 "As we brought him into our shelter," the organization's Lissa McCombe tells The Dodo, "he started to wag his tail." The dog was likely dumped there to die, she adds. And, as impossible as it sounds, probably weathered Hurricane Matthew from the sewage hole. "We found him right after the storm," McCombe says. "It was amazing he survived the flooding." But not entirely unscathed. The dog, named Matthew after miraculously surviving the storm, was, as you might imagine, in dire need of a bath. The swelling in his limbs is gradually subsiding. His appetite, on the other hand, is understandably epic. It will be a while before this survivor of a double calamity - of being both dumped in a hole and a hurricane - is ready for adoption. In the meantime, he's got all the patience in the world for the people who brought him into the light - from a very dark place. 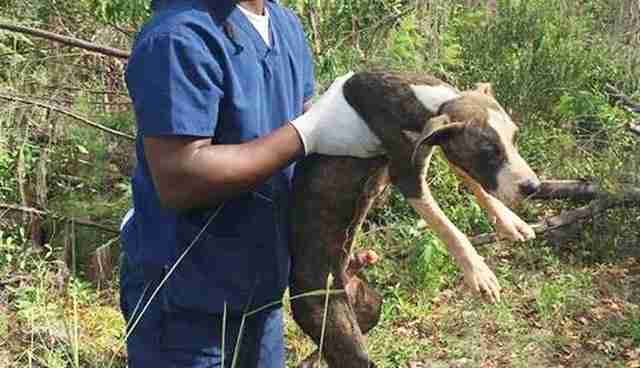 Sadly, dumped dogs are an all-too frequent issue in the Bahamas, McCombe notes. If you would like to support this group in its mission to save countless dogs like Matthew, consider making a donation here. You can also follow Matthew's road to recovery here.